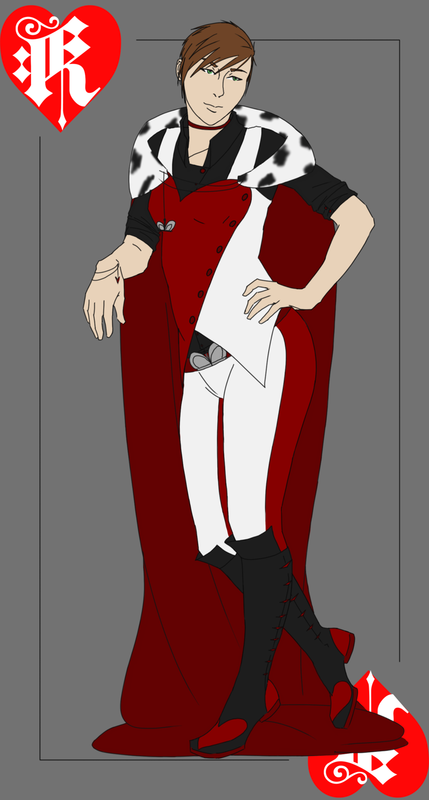 Originally meant for Halloween as the Red Queen and Red Knight, I realized too late into things Ash’s design was for the Queen of Hearts, a totally different character from Through the Looking Glass’ queen. So, not wanting to further conflate the two, I scrambled to redo things and decided on playing cards in the end. Didn’t have the stamina left to edit Cain’s belt by then, so he keeps the knight head. Also, as is so often the case with these two, I just had to play with gender and outfit design- hence Ash’s cape and King card, while Cain has the collar and accessories more of a Queen.